I do like me my good-hearted rogues. As has been pointed out everywhere else, the Ketty Jay and its crew are highly reminiscent of Firefly, and in my eyes, that is a most excellent thing. This is an adventure story with thievery, thuggery, intrigue, betrayal, and vengeance that moves reasonably quickly and has a satisfying resolution. I liked most of the characters and had no major issues with their arcs. 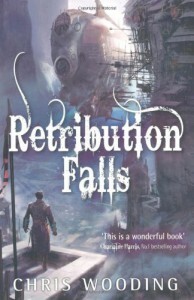 Retribution Falls has all the ingredients for a 5-star fantasy novel: elements of steampunk and the arcane (Airships and daemons! What's not to like? ), ex-military pilots, pirates, and humour. 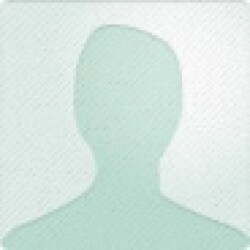 What bothered me, however, was the prevalence of Exposition by Flashback. Not as in 'As you know, Bob'; no, the flashbacks are fully fledged, stand-alone chapters, which broke the spell of the story for me a few times. They are mostly used to tell the characters' back stories, and I kept wishing there had been another way to bring them to life and explain their various motives. That, and Captain's Frey's penchant for introspection (used exclusively to tell the reader that he's changing for the better) was a bit too much TELL instead of SHOW, hence only 4 stars. I'm definitely reading the next book in the series, though!